Jim began working on behalf of injured while he was still in law school. Since that time, he has dedicated his entire legal career to justice for people who have had their lives changed by tragic injury. 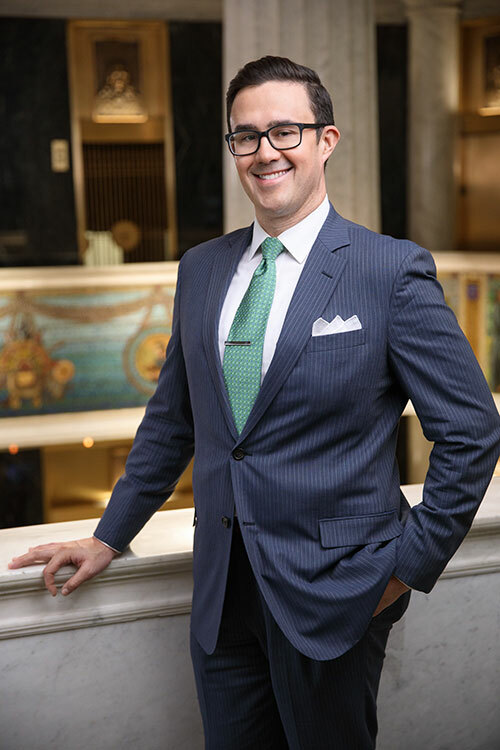 He joined Patrick E. Dwyer II’s law firm in 2007 and since that time has represented hundreds of clients from consultation through settlement or trial. Jim and Pat formed the partnership of DWYER & COOGAN, P.C. in 2015. After these many years of experience, Jim understands that being injured does not make you a victim, but it can leave you feeling vulnerable, anxious, and uncertain about what to do next. That is why he is dedicated to understanding the details of your losses and working to secure your peace of mind once again. Jim practices in Chicago and throughout the State of Illinois on behalf of his clients. U.S. District Court–Northern District of Illinois (2006). Law School: DePaul University College of Law, J.D. (2006). Bar Associations: Chicago Bar Association (2005-present) (CBA’s Judicial Evaluation Committee; 2011-present); Illinois State Bar Association (2006-present); Illinois Trial Lawyers Association (2007-present); American Association for Justice (2008-present); Workers’ Compensation Lawyers’ Association (2016-present). College: Boston College (2003, Recipient of the Bapst Philosophy Award). Media: Jim has lent his legal expertise to radio listeners of Chicago’s WCPT 820 AM. He has also weighed in on legal issues in the news on The Ben Joravsky Show as the show’s featured Legal Analyst. Please see our Blog for links to past episodes. Personal: Jim lives with his wife and their mammals in Park Ridge, Illinois. He is an avid (though long-suffering) Bears fan and spends most of his free time with his family or watching the occasional sporting event. Civic & Charitable Involvement: Jim serves as a Commissioner for the Park Ridge Planning & Zoning Commission, helping shape his community and helping it plan for the future. Jim has also raised money for Special Olympics of Chicago by dunking himself in the chilly February waters of Lake Michigan. Jim has been a Member of the Associate Board for the Greater Chicago Food Depository since 2015. Jim has also volunteered to support service projects around the city through his involvement in the Chicago Chapter of the Alumni Association of Boston College.